Geographic location provided by O-J Paloneva. Kiappeselga is, by road, approximately 76 km. north of Kondopoga. I. Prokudin-Gorsky, Sergei Mikhailovich (1863-1944) .1. Territory of Russia (collection). 2. Russia-Austria: from the history of relationships (collection). 3. The First World War (collection). 4. Barracks. 5. A-frame buildings. 6. Prison guards. 7. Prisoners of war. 8. World War, 1914-1918 - Prisoners - Austrian - Russia. 9. 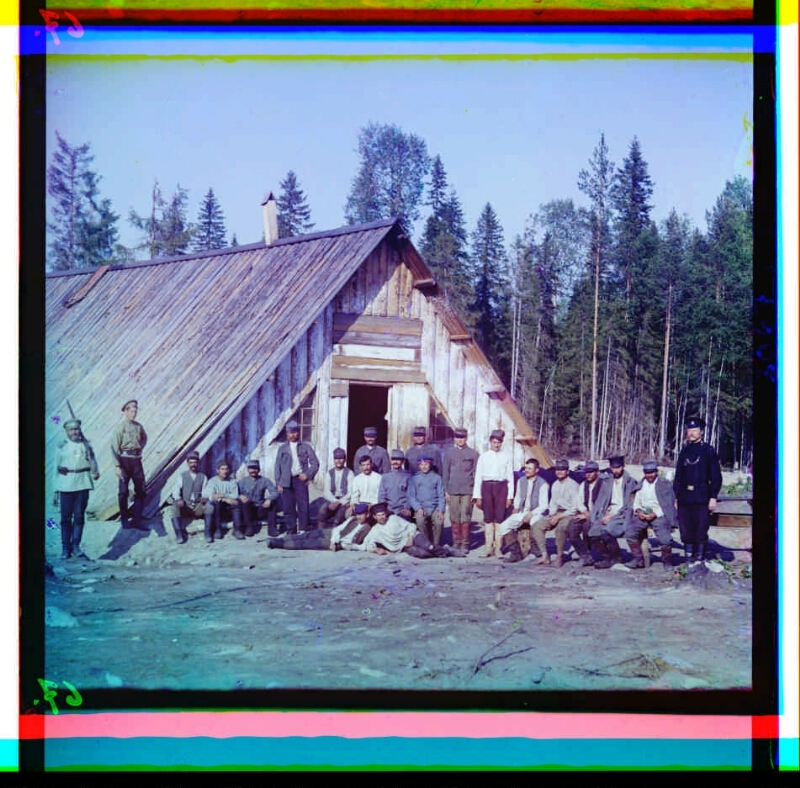 Prisoners of war Austro-Hungarian - Russia - 1914 - 1918 - Photographs. 10. Group portraits. 11. Portrait photographs. 12. Glass negatives. 13. Color of negatives. 14. Photos are documentary.